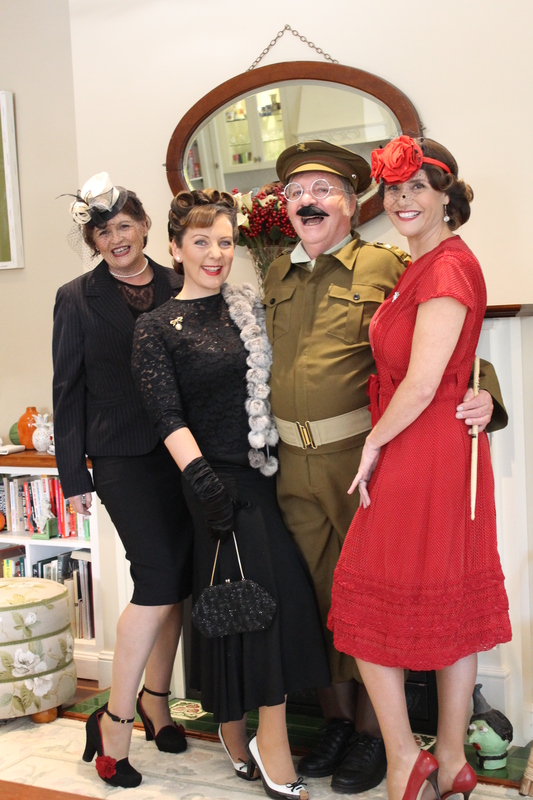 With the Kiama Jazz & Blues Club’s annual dance night less than a month away, people are surveying their wardrobes to see how they can pull an outfit together with Forties’ flair. Deb Langton, Meagan Smillie and Michelle Morrisby spent a rainy afternoon doing just that, with stunning results thanks to styling by Meryll Faulkner. Only Captain Mainwaring’s outfit was hired (Neville Conder). This year’s Victory Dance theme pays tribute to the men and women of wartime and the music to which they loved to dance. The Navy’s 18 piece Admiral’s Own Big Band will be playing all the classics from the era. You’ve plenty of time to organise your attire, anything from an officer to a nurse to the Andrew Sisters, but first book your tickets as they are selling fast. A portion of proceeds from the night will be donated to Defence Care. Details: Sat 15 August, 7pm, The Pavilion Kiama. $45 or $40 for Club members. BYO drinks and rations, on tables of eight.